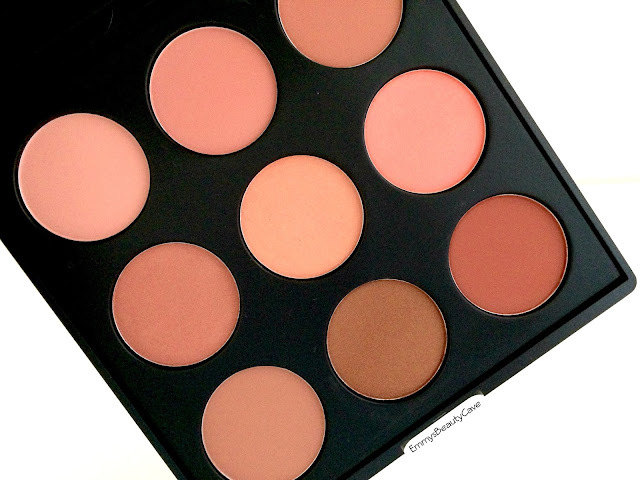 If there is one product you need in your life it is 100% the Morphe 9N Blush Palette. I have been obsessed with this palette and used it every time I have done my makeup lately. 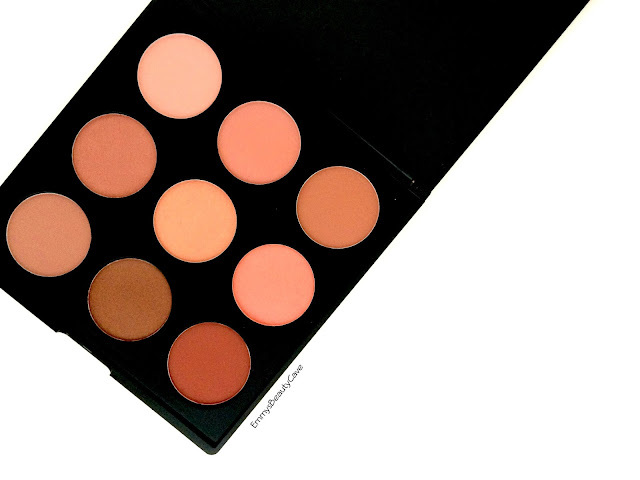 If you are a lover of pinks, peaches and neutrals this palette needs to be in your collection. I haven't seen anyone mention this palette so I was happy when Ashley got me it for Christmas. I own quite alot of single blushers but forget about so many of them. I love this palette as it has such a huge shade range to go with any look. I take this with me when I go to Ashley's as it is perfect to travel with and it is sleek and compact. The powders feel so silky and apply beautifully. They are very pigmented and you only need to light press your brush against them. I use 8 out of 9 shades as blush, the only shade I can't use is the darkest shade as I have very pale skin. I can get away with some of the darker shades on the bottom row if I use a light hand. I find alot of blush palettes stick to one kind of colour but this has pinks, peaches and neutrals and it includes mattes and shimmers. As I mentioned above this palette will work with any makeup look. 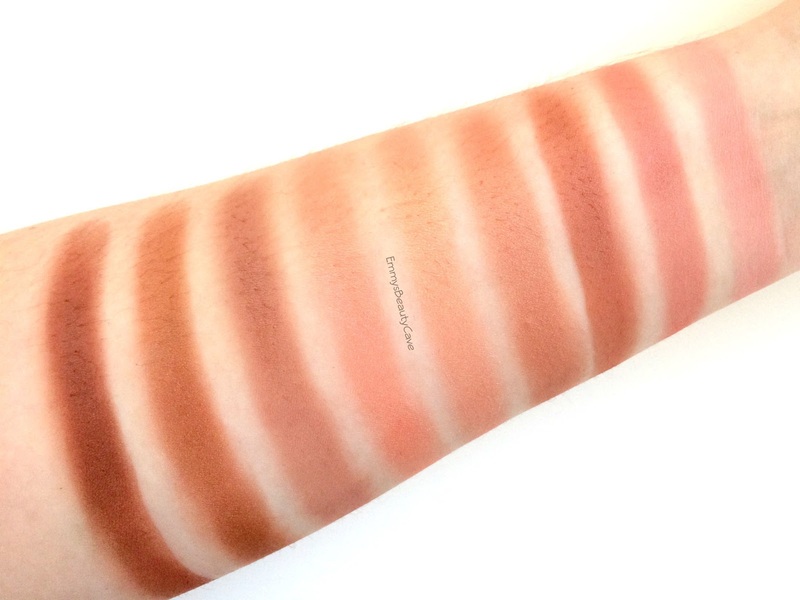 I can't wait to use the peach shimmer shades in the Summer months as they will look gorgeous! The Morphe Naturally Blushed 9N Palette is one I couldn't live without. Ashley did get me this from Beauty Bay but they don't seem to be stocking it anymore. The only annoying thing is that when I was getting the links online the price has gone up since December. Im sure it was around £17 but it is now £21. I guess that is due to how popular it is. £21 is still a bargain for 9 high quality blushes and the mixture of shades you get. Morphe have really impressed me with this palette. They also do the Blushed Blush Palette 9B which includes brighter shades.